Batteries (both rechargeable and non-rechargeable) are an integral part of modern daily life. The variety of unplugged consumer electronics, electrified transportation, miniaturized electronics, and military equipment, both handheld and deployed in far to reach areas, drive the need for not only better batteries but also ways to better analyze and model. The first part of the talk will start with an introduction to impedance spectroscopy as applied to electrochemical energy systems. I will go on to present an impedance-based performance modeling that predicts the performance of arbitrary batteries under arbitrary load with errors less than 1% [JECS 2017 164(6), A1274-A1280]. This approach employs the measured impedance in the frequency domain without any adjustable parameters or fitting. The published work was limited to single cells of rechargeable cells. This talk will include our current efforts in extending this modeling approach to not only non-rechargeable batteries, but also to symmetric or asymmetric stacks of electrochemical energy storage devices. After obtaining a B. Sc. degree in Chemistry from Bilkent University, Turkey in 2002, Dr. Ülgüt obtained his Ph.D. under the supervision of Prof. H.D. Abruñafrom Cornell University in 2007. After a yearlong postdoctoral stay in Cambridge University, UK with Prof. Sir Richard Friend, Dr. Ülgüt joined Gamry Instruments Inc., as an instrumentation scientist. In his six years at Gamry, he served in multiple positions and worked on various aspects of impedance measurement and analysis and spectroelectrochemistry. Some of this work on multi-sine EIS, seedless impedance fitting and spectroelectrochemistry was commercialized within this period. 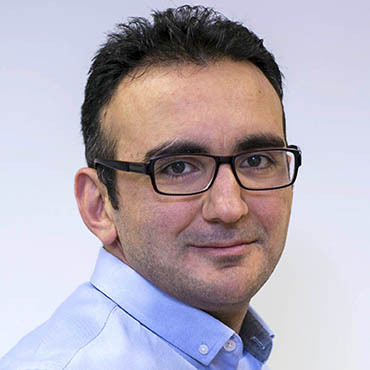 After a yearlong appointment as an R&D executive in a Turkish Lead Acid Battery manufacturer, Dr. Ülgüt joined Bilkent University, Department of Chemistry in September 2015. His current research interests include novel electrochemical instrumentation and analysis techniques mostly geared towards electrochemical energy storage systems.